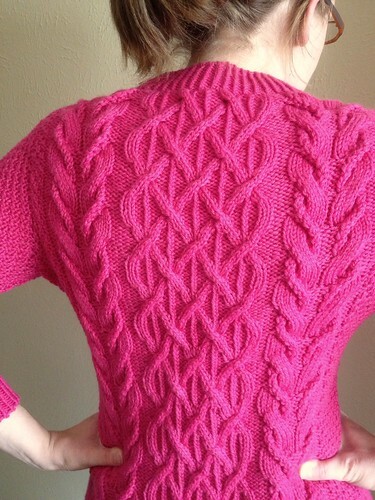 As you may recall, about a year ago, when I vowed to lose weight, I also took a hiatus from garment knitting. Accessories, absolutely! But fitted sweaters, no. There's no point in spending weeks, or even months, creating something that soon won't fit. Luckily, those days are behind me now. 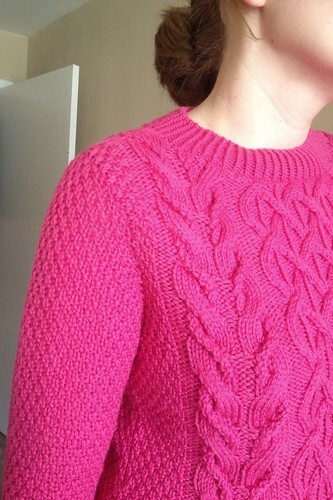 When I was within sight of my goal weight, I allowed myself to cast on a pullover (this lovely, cabled beauty by Norah Gaughan, to be precise! ), and now it's finished! 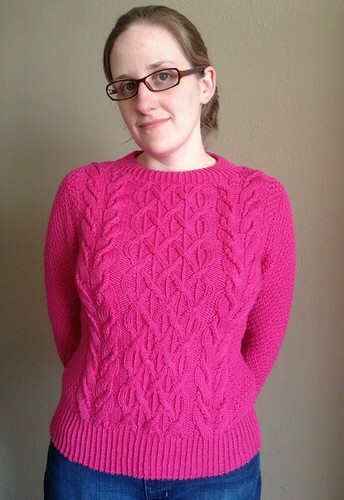 I worked this up using some Patons Classic Merino Wool (#77732 That's Pink), which I scored on the cheap a few years ago when Michaels stores across the nation were selling yarn for $1 a skein to make room for their new yarn department. 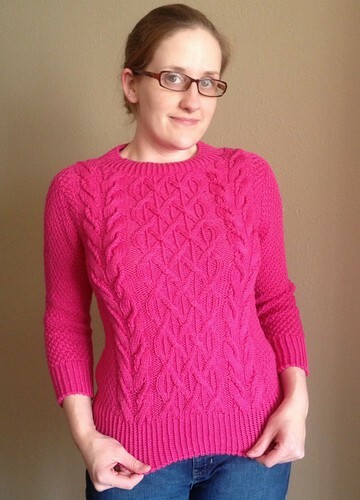 So with just over 5.5 skeins used, this, my friends, is a $5.53 sweater. Not bad, eh? 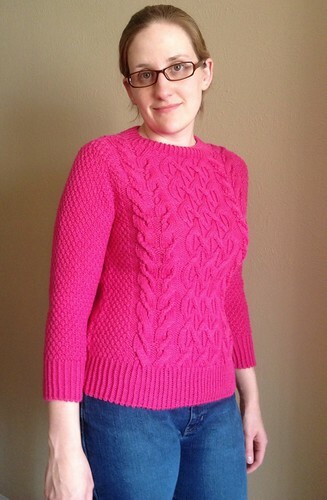 Finished, just in time to wear it once before it gets too hot. C'est la vie!